Here at Peachtree, we eat, drink, and breathe children's books (many of you may relate to this). If we’re not talking about and working on our latest titles, we’re discussing recent award-winning children’s books, or a title that we all enjoyed in our personal reading. A particularly fun conversation started as a result of a blog post we were writing in honor of children’s book authors and illustrators; everyone was listing favorite childhood books. The emergence of children's books began centuries ago when the notion of “childhood” started taking shape. In An Essay Concerning Human Understanding published in 1690, enlightenment thinker and philosopher John Locke introduced the idea of humans being a “blank slate” at birth. Children were not just miniature adults, as previously understood; instead, with no ideas imprinted in them, children slowly learned and developed thoughts and ideas as they grew. This theory about humans and human understanding was one of the first stones that started the avalanche of development and change when it came to children, children’s education, and children’s books. Ideas, morals, and manners did not come innately. 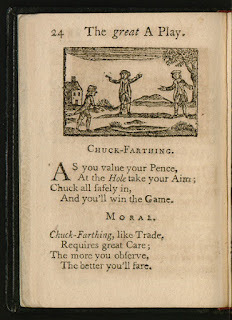 Children needed to be instructed, and the children’s books of the 18th and 19th centuries reflected that. Locke's theories about children and learning remained prevalent years later. An article entitled "On Novel Reading," published in The Guardian or Youth’s Religious Instructor in 1820 reflects John Locke’s 150 year-old (at this point) idea: “At this period, the mind as well as the body, is forming, is progressing toward the maturity of adult age; and, in this immature state, is peculiarly susceptible of impressions; and these impressions, whether good or bad, usually last, and have great influence on the future character” (p. 46). Similarly, in an article entitled “Books for Children” and published in 1828 in The American Annals of Education, we see Locke's theory impressing upon adults the importance, and potential danger, of books on a child's mind. In particular, the article shows how adults worried that a single bad idea or habit in a book could affect children for the rest of their lives, their impressionable brains never being able to recover if an immoral habit took hold. With the fear of immoral future generations, it makes sense that books given to children were carefully monitored. In particular, the frivolity and non-reality of novels was rejected by many adults because of the possibility that their susceptible children might not to be able to differentiate fact from fiction. Once a novel or children’s book taught a child a certain behavior, it might not be unlearned! “On Novel Reading” also spells out another danger of children’s books. The article explains that “The great profusion of children’s books protracts the imbecility of childhood. They arrest the understanding, instead of advancing it” (p. 48). Here, the issue is not that their kids would become immoral adults, but that they would not mature into adults at all if given the wrong type of literature to read. With all the fears and dangers of “childish” or fictitious books, many of the American grown-ups (and adults throughout the world), focused the attention of children’s books to teaching morals, manners, and rules. Books were not meant solely for entertainment; they had a very practical purpose. However, this began to shift at the end of the 19th century. Children’s books as a genre really began in the 1700s; A Little Pretty Pocket-Book, written by British publisher John Newbery (after whom the Newbery Medal is named) in 1744, is widely considered the first children’s book. The genre was made up mainly of rhyming stories and fairy tales meant to entertain youth, but they also provided moral lessons. So, children’s books existed as a genre, but the books themselves were not necessarily for children for enjoyment's sake; they were for children to become responsible adults. They were to fill the empty void that was a child’s blank mind and give direction to a non-existent moral compass. Modern attitudes toward children emerged during the late 19th century when the Victorian middle and upper classes started emphasizing, protecting, and celebrating the sanctity and innocence of a child’s imagination instead of stressing morals. With this new mindset, we began to see a very distinct shift in children’s books, which led to the Golden Age of children's literature. In her overview of children’s literature entitled “Picturing Childhood,” Cynthia Burlingham gives us a list of genre-changing books—including Alice’s Adventures in Wonderland (1865); Little Women (1868-1869); Treasure Island (1883); Adventures of Huckleberry Finn (1884); and Jungle Book (1894)—that began to change the themes of morality and manners that dominated children’s books. 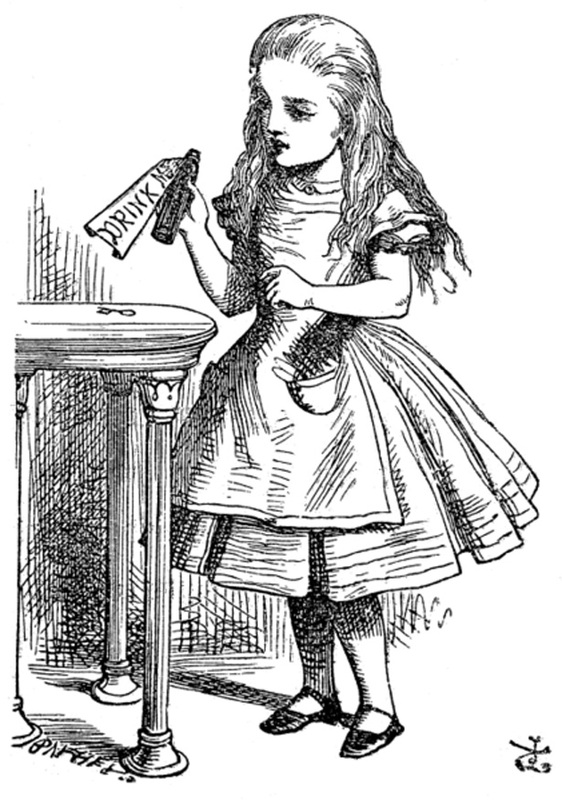 Alice’s Adventures in Wonderland, for example, was a very popular fantasy story with no obvious moral. Children’s books began to look more like the books for children we see today. Children’s books continued to evolve during the century following Kipling’s Jungle Book, and the genre is now far from the didactic fear-inducing lessons that were once the staple. So our next question is about the change in the purpose of children’s books during the 20th century. If they’re not for teaching manners and morals, what do we see as their purpose today? Check out our next conversation on the evolution of children’s books in Part 2!